I’ve been trying to stick to the ONE LINE RULE diet since New Year’s Eve. I’ve only broken it once – inadvertently – but it is tough. I REALLY miss my chocolate and cakes. And ice-cream. 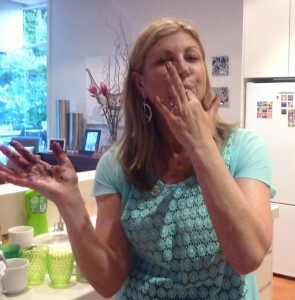 Another reason I call Emma – Emma the Guru – is that she hasn’t eaten ONE lolly or chocolate in seven years. Which is quite phenomenal. In a bow-down-and-scrape-WOW kinda way. Because I am a serious sugar addict. Emma the Guru’s range is spreading far and wide. 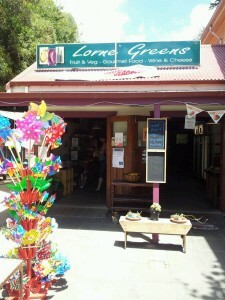 From this summer, you can now find The Muesli -even as far away as Lorne at a super cute health shop called Lorne Greens. Yep, I was there and saw it on the shelf. Very impressed! And no, I am not paid to write this. 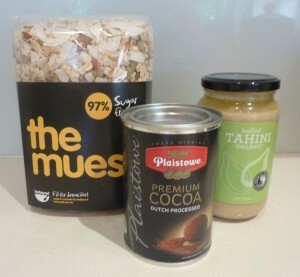 I bought my own The Muesli at a local health shop yesterday. Emma is a friend, and I am supporting her product because I believe in it and I don’t ask for freebies. And it tastes bloody good. I can’t find anything else that comes close. If you can – let me know. But it’s now 24 days into this ONE LINE RULE diet and it’s getting a bit boring. I’m also a bit worried that in order to compensate for the lack of sugary treats in my life, I’m over-indulging in every protein bar under five per cent sugar on the planet. This can’t be good – can it? I decided I needed to talk with Emma the Guru for some more advice – and hopefully inspiration – to keep me on the straight and narrow. Jen: So I suppose it’s not good that I’m eating so many protein bars and sugar substitute treats, is it? Emma: My belief is that the sugar addiction is very much based on that sweet taste which is what you crave. So if you can, try and get away from needing to supplement that sweet taste and ultimately that craving should go away. But in the beginning, particularly if you have been quite addicted, definitely take the odd substitute and have a couple of Jols or something. Jen: Are protein balls okay? Emma: I think so. 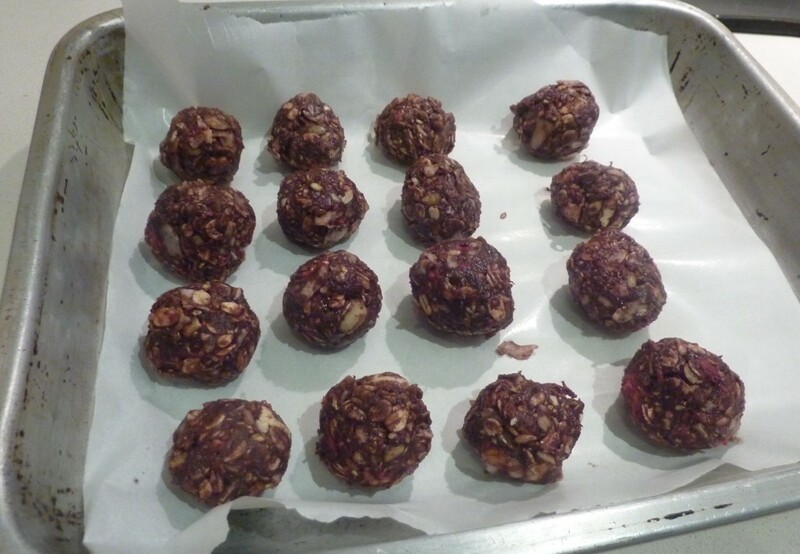 But I also make some great protein balls that have chocolate protein powder and raspberries in them. The kids love them in school lunches. If you’re a really big sweet tooth (like me) you may also want to throw in a spoonful of a sweetener like Stevia. Emma says you mix the whole lot up in a big bowl. The tahini makes everything stick, so you can then roll it up into small balls and place on a tray in the fridge to set. 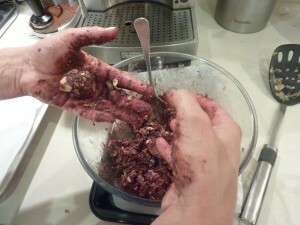 It’s messy to make and you’ll start to feel like a mud wrestler, but on the upside, you get to lick your fingers. Jen: I’ve given up so much. Why aren’t I losing weight? What am I doing wrong? Too much alcohol? Too many protein bars? Emma: I firmly believe that over time, you will absolutely lose weight. You will see it happen. It may just be a slower progression for some. Jen: Well I suppose I have lost half a kilo. Emma: Well half a kilo is good! And you really haven’t had to put yourself out too much to lose it. Jen: What else could I do to help? Emma: The other thing would be to cut out processed carbs. Anything white really. Processed breads, any processed foods. And generally the ONE LINE RULE cuts out loads of processed foods anyway. But if you do want to accelerate your weight loss a little bit, just cut out processed foods and anything white – potato, rice, pastry and definitely avoid pasta. Jen: Generally speaking, what is your diet? Do you eat The Muesli for breakfast all the time? Emma: I do! I eat The Muesli every day. Jen: What about morning tea? Emma: No. I find myself sitting at my desk and find myself thinking, “God, I’m starving!” but by then it’s one o’clock in the afternoon and time for lunch. And that is the first time I’ve thought about food because The Muesli seriously fills me up. I might think to have a cup of tea, but I really never eat anything till lunchtime. Jen: So what do you have for lunch? 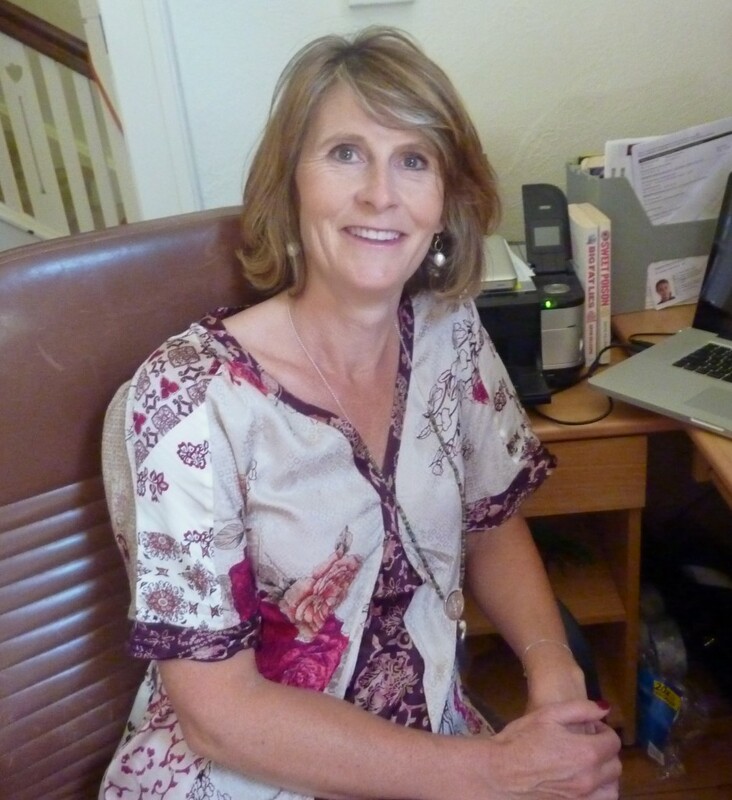 Emma: Lunch for me would be something from the fridge – mix up a whole lot of rocket with tuna or salmon and avocado. Or leftovers. I’m a big fan of leftovers. But I think if you’re modifying your diet and avoiding processed foods, then as long as you have a serve of protein and a big serve of salad, you’ll be fine and you will eventually lose weight. And cook a bit extra for dinner – like a bit of extra chicken of fillet and then you can eat that for lunch the next day. Jen: How important is exercise? Emma: Oh, I ‘m a big believer in exercise – as much for your mind as anything else. But while exercise helps, I think we lose sight of the fact that losing weight and keeping your body the way you want it is 95% about what you put into your mouth. So yes, I exercise most days – walking and pilates – but first and foremost, I watch what goes into my mouth. Jen: I love snacks though. So any tips for that problem? Emma: Well the protein balls we just talked about are good. Or some cheese. And blinis. (small pancakes) Make these with rolled oats or oat bran – I even grind up some of The Muesli – mix that with some egg and yoghurt, salt and pepper and make little blinis. These are divine with smoked salmon, cream cheese and capers. Jen: What advice can you give me to keep going and stick with this sugar free mission? Emma: It always depends on just how bad your addiction is. You’ve just got to keep telling yourself that it is an addiction and that it is something inflicted on us by a food industry that will keep on doing it. Everywhere you go, we have sweet treats on shelves in shops, shoved in our faces. It is tough. But the health benefits are massive and you will feel so much better. Okay. I’m convinced. I’m going to stick with this sugar free mission for a bit longer. Especially now I have the recipe for those chocolate protein balls!! I’ve got a whole tray of them in the fridge now. Enough writing – time for a snack! This entry was posted in Opinion and tagged bellinis, Chocolate protein balls, Donna Aston, Donna Aston Protein Supreme, Emma Dumas, Lorne Greens, One line rule diet, Protein balls, Sugar free diet, The Muesli by JenniferHansen. Bookmark the permalink.